Add Some Vibrant Color and Funkiness to Your Living Room with Pop Art! Pop Art was a popular art movement that had its blast in the middle of the 20th century. 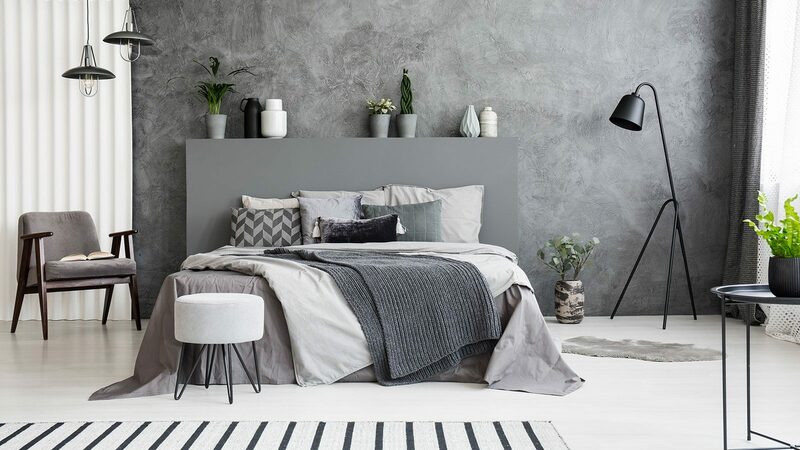 However this dashingly modern and contemporary art movement remains popular today, especially when it comes to interior design! 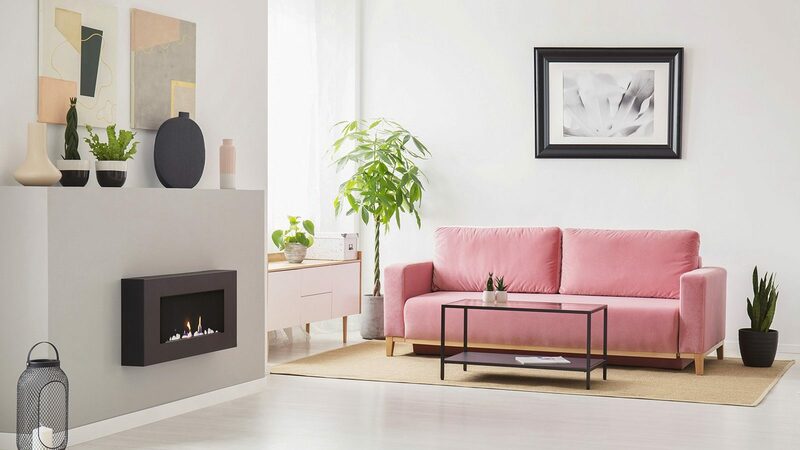 Pop Art themed living rooms tend to reflect a super vibrant and refreshing ambiance mainly due to the bright, hot colors, modern paint and sharp textures of the style. 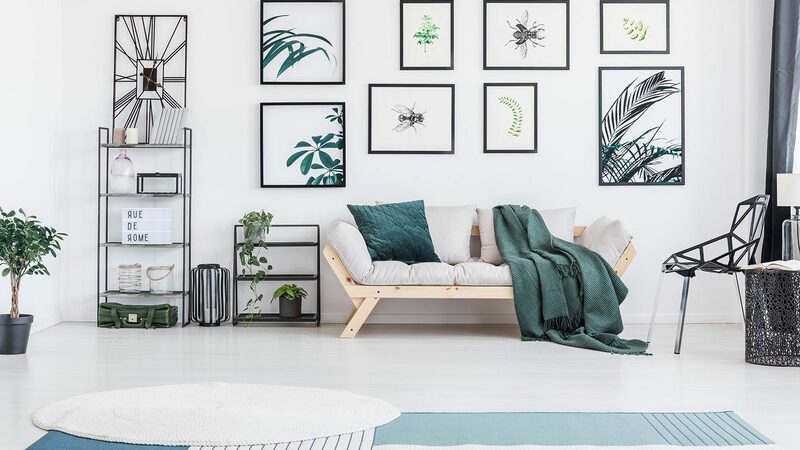 This super vibrant and youthful decor style will instantly create a dynamic and colorful effect in your living room, filling it with perky and lively energy. Plus it’s really easy to pull off! 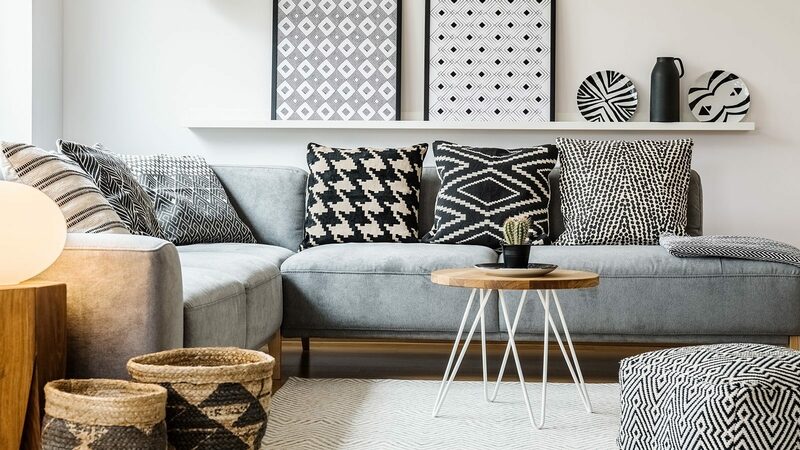 We’ve gathered together a collection of 10 Pop Art living room design ideas which will hopefully provide a decent amount of inspiration. Check out the showcase below and enjoy! The hot red and pink walls in combination with the bright and colorful Pop Art on the walls really opens up the entire living room, setting a vibrant and dynamic foundation. The other pieces here aren’t very complicated and help to create a simple yet super funky ambiance that’s perfect to hang out in. Wow! so cool and funky, right? 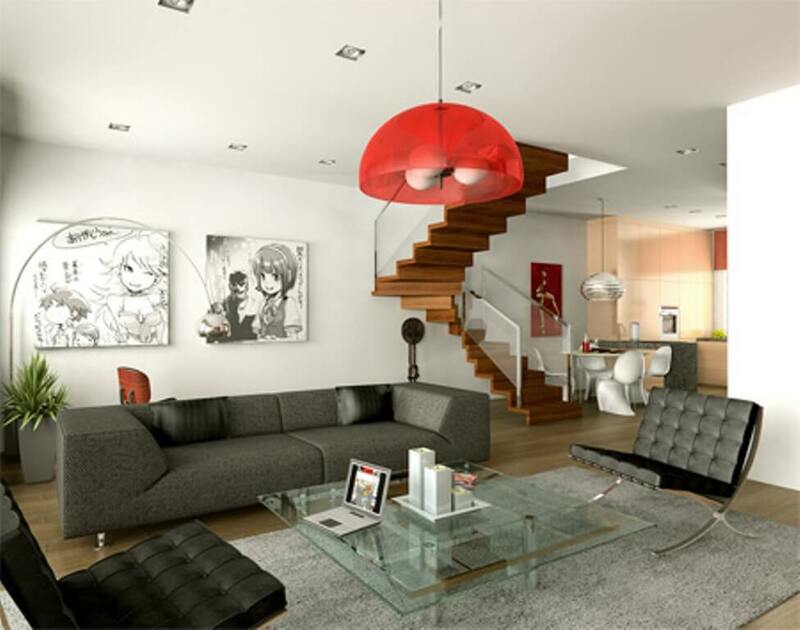 The combination of modern Pop Art decor along with the fun anime art provides an amazingly loose and upbeat ambiance. And we have to say something about those stairs too, how awesome are those?! 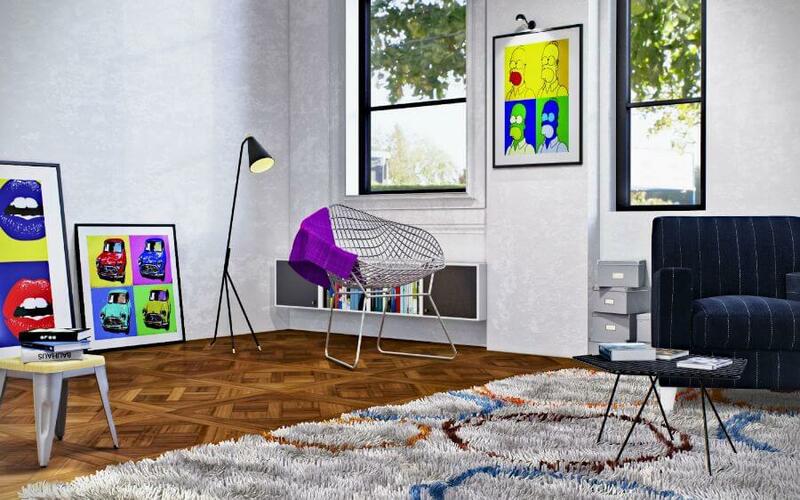 We just adore the beautiful appearance of this Pop Art-inspired living room. The exposed brick walls create an amazing harmony and cozy ambiance when combined with the bright colors and artwork. 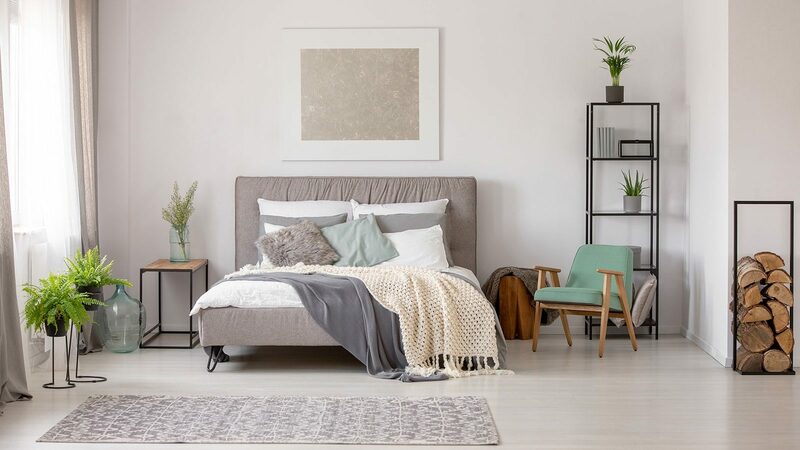 The white shag area rug brings a relaxing and soothing effect to calm the entire space down. 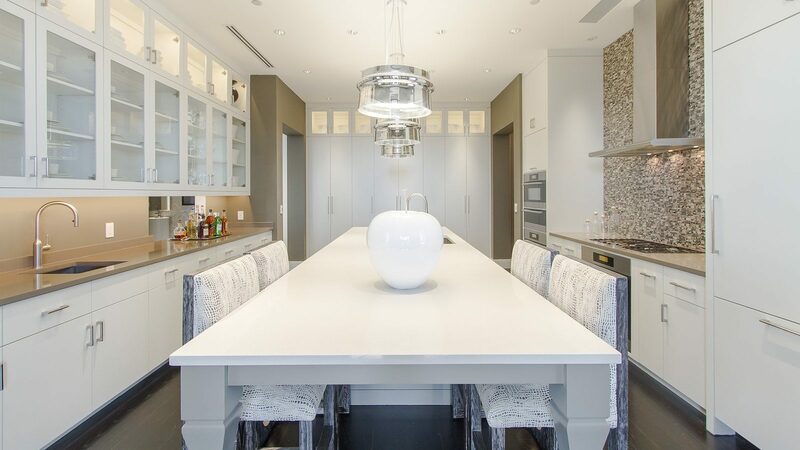 The open plan concept here is magnificent and is totally complemented by the artwork and bright color scheme. 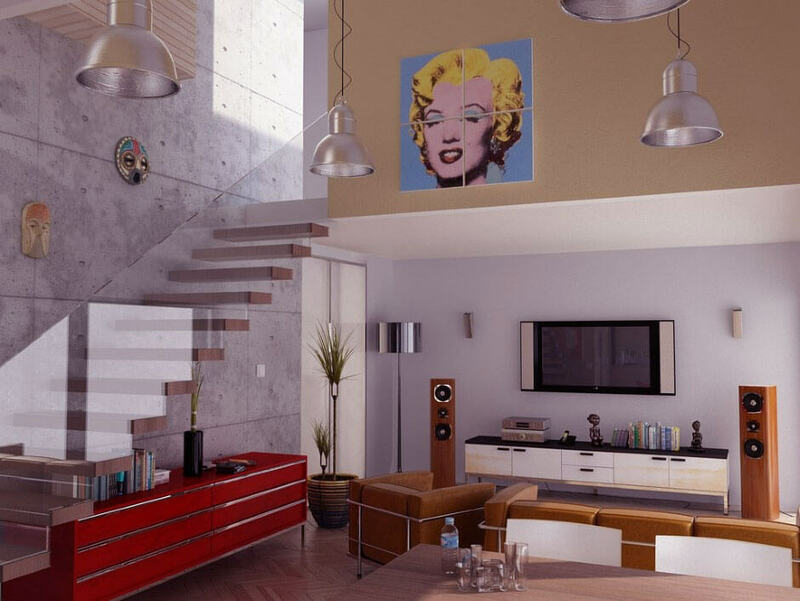 That Marilyn Monroe art piece works as a focal point and provides this beautiful living room with a charming and dynamic feel. The choice of vintage style furniture used in this room is a fantastic touch as well. 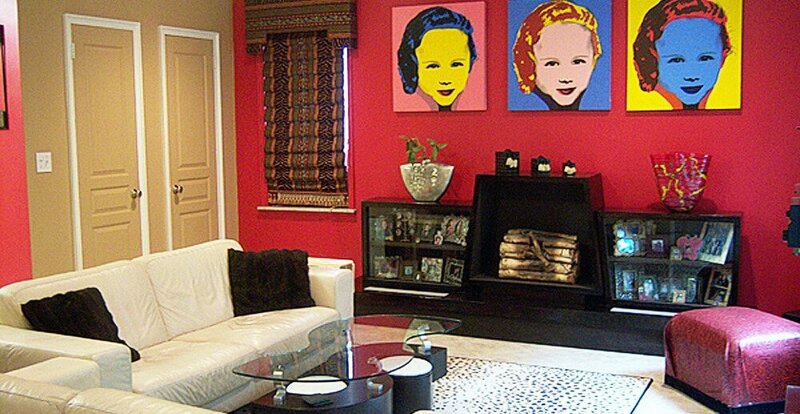 This Pop Art living room is so bright, vibrant and we totally love it! The vibrant orange shag area rug brings a dynamic and funky texture to the interior and contributes to an overall amazing ambiance. The artwork on the wall is really fun as well. 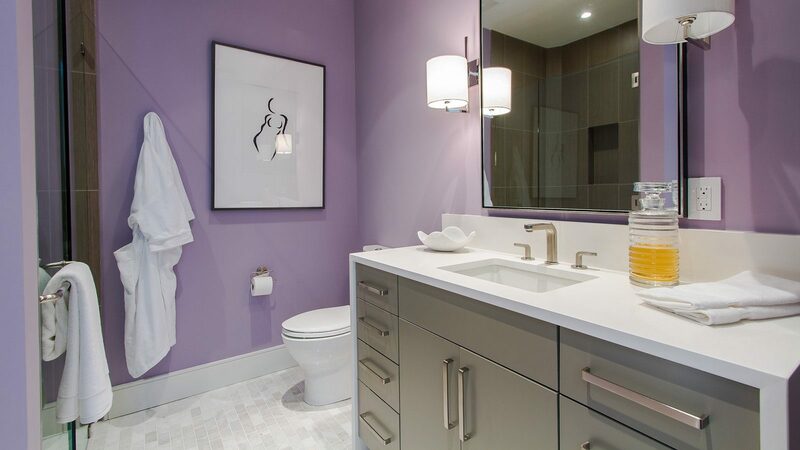 This room features a delightful play of both hot and cold colors creating a cheery and vibrant ambiance. 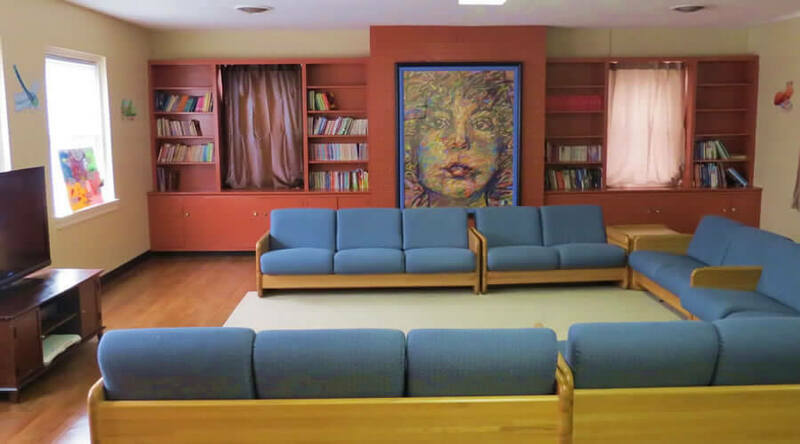 The room wouldn’t be the same without that very colorful and large piece of Pop Art acting as a wonderful focal point. 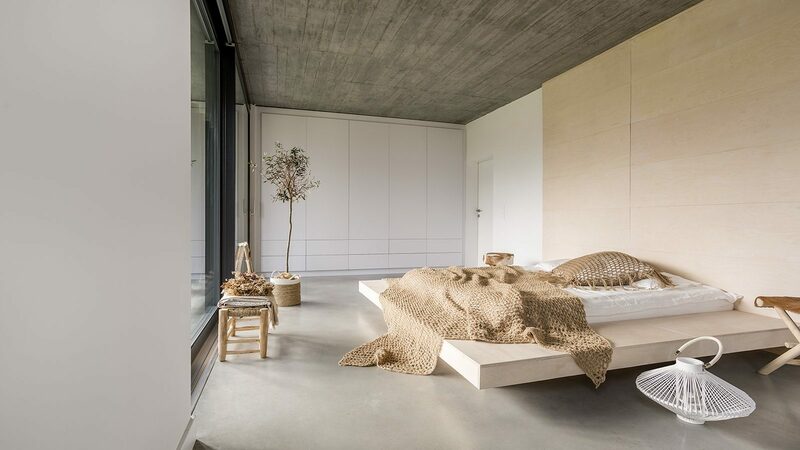 This room is so incredibly sleek and modern. We love the combination of the super contemporary modern furniture with the bright colors. 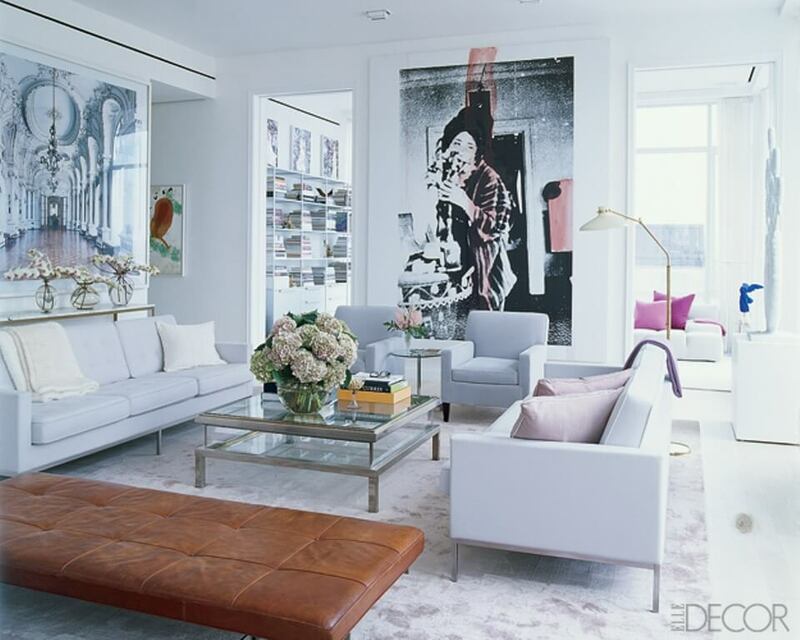 The artwork and color palette here is super chic and feminine as well. 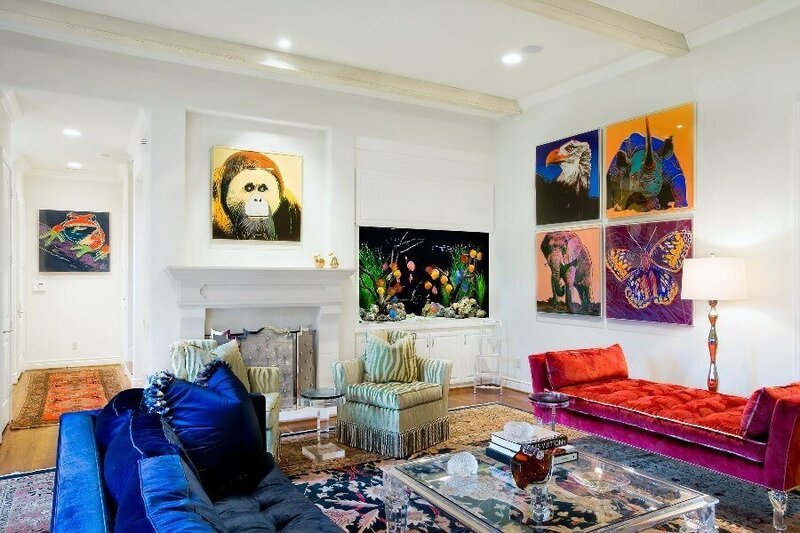 The overall appearance of this bright and funky living room is largely due to all the wonderful pieces of animal-themed Pop Art on the walls. The room itself is white and the colors of the furniture and art work add just enough color to make everything feel light and vibrant. This living room is a perfect blend of modern and industrial styles. The Pop Art on the walls adds some very interesting color and overall uniqueness to the whole room. It just wouldn’t be the same without it. Another super and vibrant living room. The artwork is bold, colorful and expressive making everything here feel funky and unique. 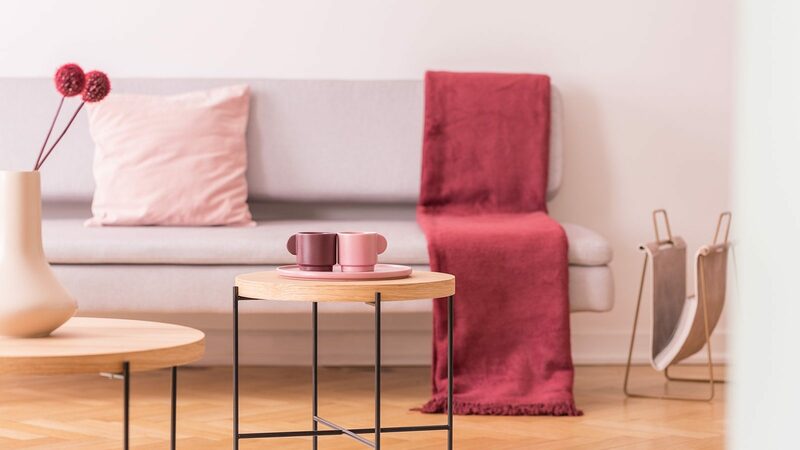 The soft looking rug relaxes everything and makes everything feel a bit more comfortable while still remaining interesting. 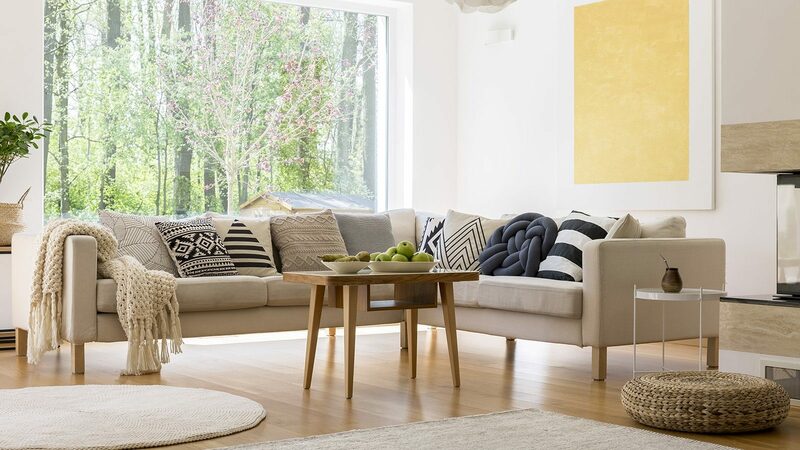 We love the combination of warm pastel colors in this bright modern living room. 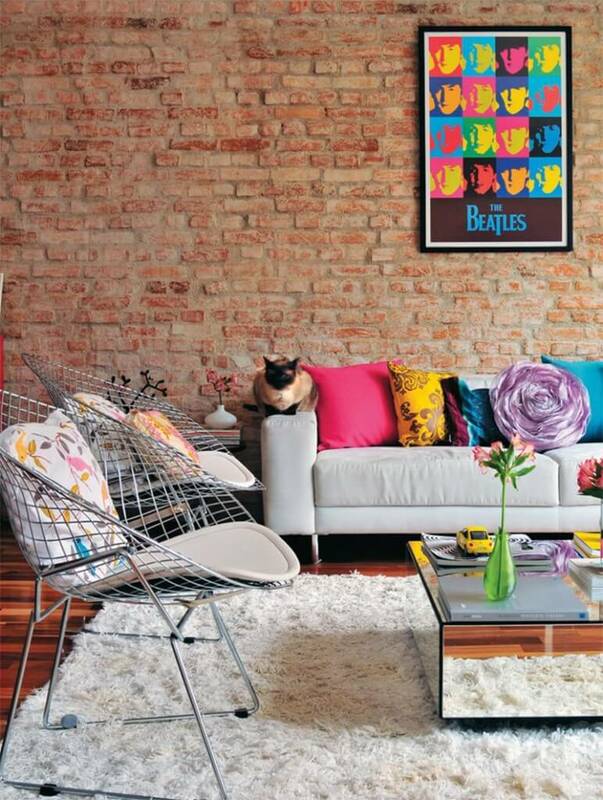 The Pop Art on the wall adds even more vibrant color to the space and is super chic as well.